One of the ringers that Coach Daimon brings in. He is an excellent batter and plays in center field. However, he was demoted to bench-warmer after defying Daimon's orders to make the correct play. 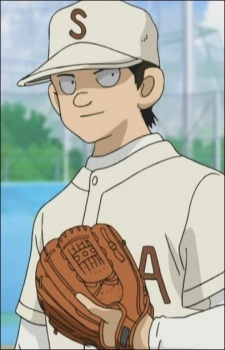 After the subsequent fallout with Coach Daimon, he transferred to Sena Municipal High School, becoming their ace pitcher and cleanup batter. He was also acting as a player-coach in his new school, since its baseball club did not have a proper coach. He eventually led his school to victory against his former coach's new school, Kurokoma Jitsugyō.